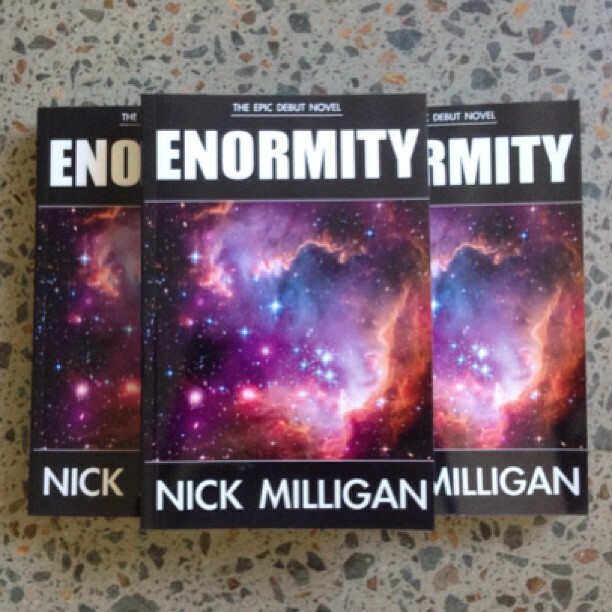 OUT NOW: Enormity is available in paperback at Abicus on Darby Street, Newcastle. The time has come. Enormity is now available in paperback. I can’t say it has hit “the shelves” per se, as it only has one stockist. But it has hit “the shelf” of Abicus in Darby Street. I was very flattered to be approached by the store and incredibly grateful for owners Tiff and Tim’s support. Enormity will eventually have more stockists, but for the time being it’s exclusively at Abicus. Get along and grab a copy! The next steps in the book’s release are the announcement of the official book launch (looking at late November) and also Enormity‘s availability in paperback through Amazon and as an eBook through other channels like iBookstore, Kobo, Barnes & Noble etc.